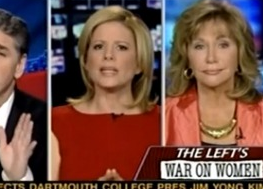 From Mediaite: Fox News host Sean Hannity invited contributors Kirsten Powers, a columnist at the Daily Beast, and Sandy Rios, the VP of Family-PAC Federal, to his show Monday night to discuss Hilary Rosen‘s comment about Ann Romney. 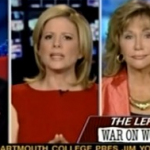 Hannity felt Rosen’s remark that Romney had “actually never worked a day in her life” had meant to be condescending and played into the left’s narrative on “class warfare.” Powers attempted to frame the argument surrounding Rosen’s comment as part of an ongoing and wider-ranging “mommy war,” but Hannity didn’t buy it. To hear his response and read the full post, see here. From Gossip Cop: Miley Cyrus needed to go to the hospital Monday, but you needn’t worry! Our favorite young country star is okay. She just needed stitches after accidentally cutting herself with a knife. The singer-actress sliced her finger while cooking at her home in Toluca Lake, California. For the full post, read here. 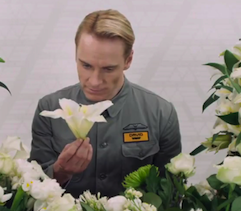 From Geekosystem: You can say one thing for Ridley Scott’s forthcoming Alien prequel Prometheus, it has some of the most compelling promotional material out there. 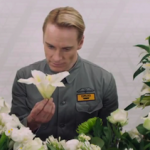 First there was the faux-TED talk from the future, then there was the trailer, and now there is this exquisite short film starring Michael Fassbender as an android produced by Weyland industries. He’s great in the trailer, and we’re expecting more greatness in the movie. Read the full post about it here. From Styleite: What were you doing when you were five? Drawing in coloring books? Playing on a jungle gym? Unlike you, Gisele Bundchen’s 5-year-old niece Duda is modeling and designing for Brazilian children’s label Brandili Mundi. According to Forbes, Duda was a spokesmodel for the brand last year. Brandili Mundi liked her so much that they extended her contract and gave her a designing gig to boot. The Duda Bündchen for Brandili Mundi collection, which launched in July, includes ruffled dresses and Peter Pan collared tops. Lucky girl. Read the full post here and watch the video of her ad campaign. 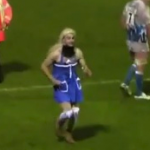 From SportsGrid: Sure, you might think that running onto a rugby pitch in a purple dress and a blonde wig in an apparent homage to Goldilocks sounds hilarious. If you decide to go through with it, however, you run the risk of offending Olly Barkley, who is six feet tall, around two hundred pounds, and makes his living crashing into other similarly built men. 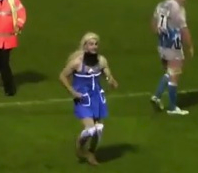 Watch this video – a man in a dress, running onto the pitch at a rugby match, and one reason why that’s a terrible idea. See it here. From The Mary Sue: Watch Nathan Fillion and Robert Downey Jr. talk about The Avengers (no spoilers!) I made sure to put a no spoilers guarantee up here, since the early secret showings have shown, and the internet seems really interested in making me watch videos of Iron Man fighting Thor and Tony Stark verbally sparring with Loki, and I am firmly saying no until I can actually see the entire movie in two and a half weeks. See the video here. From the Jane Dough: I’m a fan of HBO’s brand spankin’ new comedy “Girls,” but cannot wait for the hype to blow over, as it distorted my viewing experience and shoved the project down my throat long before the highly-anticipated show first aired and I could even formulate my own opinion on it. 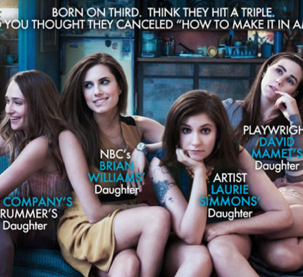 Another one of my pet issues with the program, which is written by “Tiny Furniture” creator Lena Dunham, is its nepotism, which is nicely conveyed in a joke poster for the show, which you can see here in full.